LEMME ‘SPLAIN LIGO TO THE SWEDES…. Folks, do you know that even as the LIGO Nobel Prize was announced, there was a very prominent and widely known position within the physics establishment that there was no discovery here? This position was held by some scientists at the University of Copenhagen. 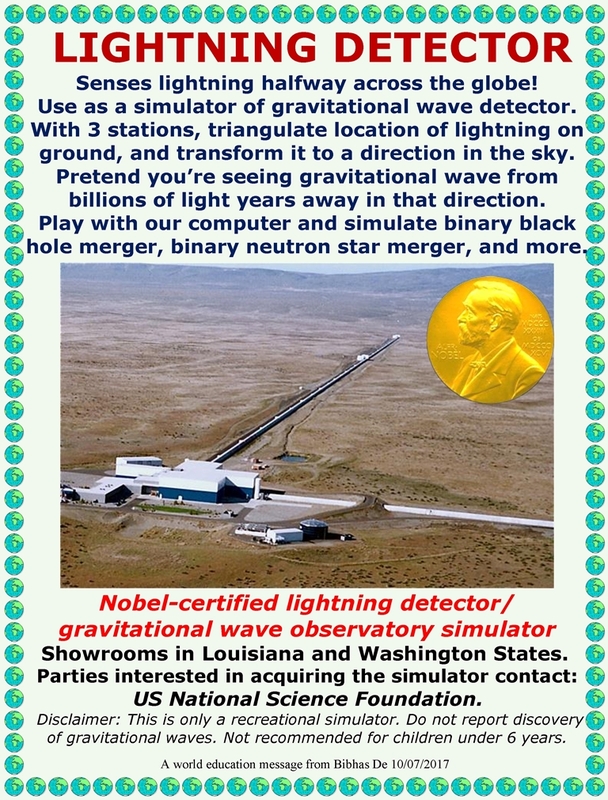 Do you also know that there was a position communicated directly to the Nobel Committee that the LIGO instrument had no valid calibration? A scientific instrument without calibration is like a tape measure without any markings on it. Both positions are correct, and they together establish without the slightest question that there was no discovery. No way no how. Do you also know that the Nobel folks have repeatedly expressed the position that they like to wait many years after a discovery is reported to be sure that it can stand the test of time? So why was this prize given in an unseemly hurry under these clear circumstances? And why isn’t anybody raising any issues about this most bizarre award in the entire history of the Nobel Prize? The LIGO Nobel Prize was rammed through with total disregard for science or society or even the Nobel tradition. It is a dirty power play on the part of some very ugly people hellbent on prevailing against any dissent of any kind. They have some agenda and some timetable, and no one is going to stand in their way.They are not going to wait for anyone or anything. But, lighten up. May be I can use a little humor to explain to the Swedes for once what it is that they have just anointed. This entry was posted on October 7, 2017 at 12:46 am and is filed under LIGO Discovery, The Brotherhood of the Nobel, Uncategorized. You can follow any responses to this entry through the RSS 2.0 feed. You can leave a response, or trackback from your own site. Thank you for putting this information out there out there! Truth needs no defense – just people like us!